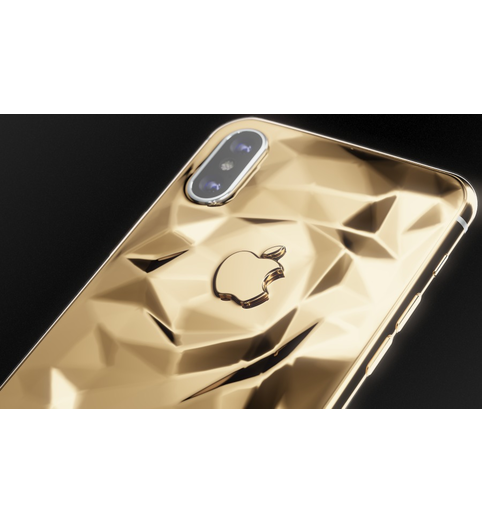 Classic Liquid Gold On the very first day of Apple's presentation of iPhone X, the tech fans all over the world were confused to see no golden colour of the case anymore and had to choose only from black and white versions. 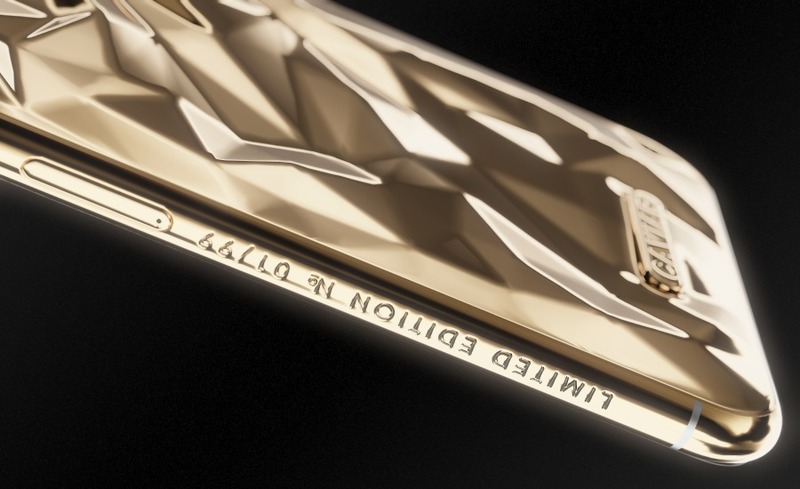 Actually, iPhone with gold-plated cases were the most popular and beautiful models. 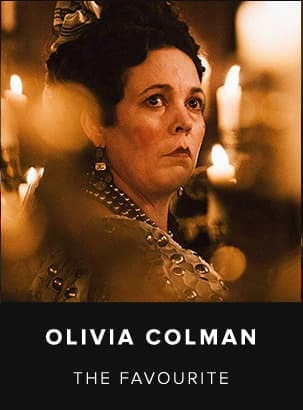 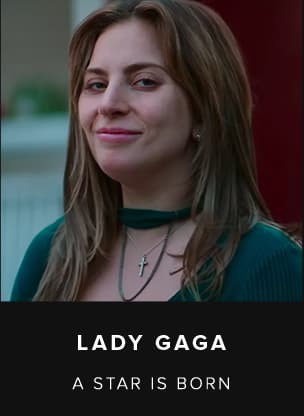 Caviar decided to improve iPhone X and return its unfairly lost golden colour. 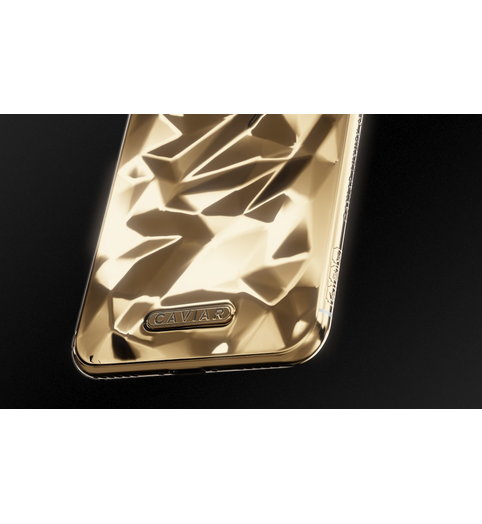 Moreover, now the smartphone case is not simply painted with golden paint, but coated with a pure 24K gold. 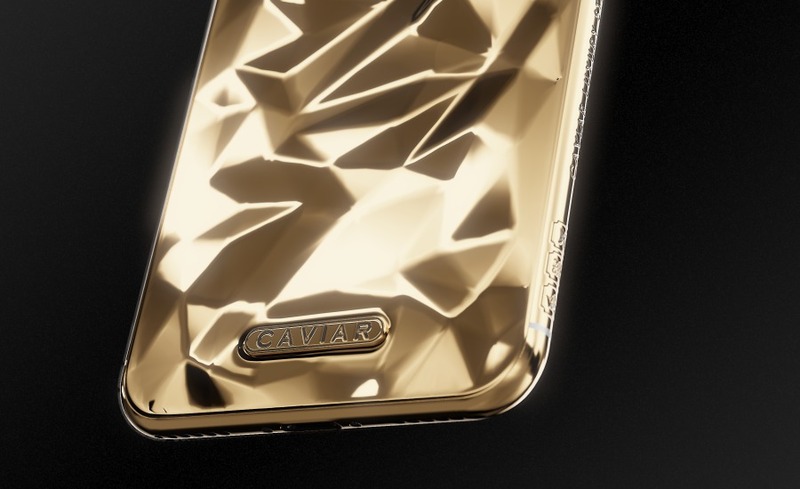 Caviar's designers and jewellers have created version of the golden iPhone X. «Caviar Liquid Gold» version is a device encapsulated in the gold-plated relief case decorated with a legendary apple symbol - for the first time in Caviar's history. 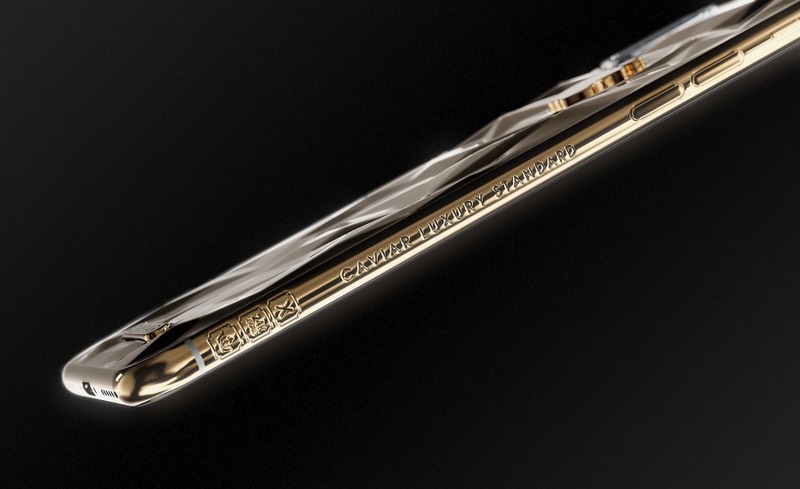 And it features absolutely new, original case which unusual shape which creates a sensation of "liquid" metal, as if it was transforming in the hands of its owner. 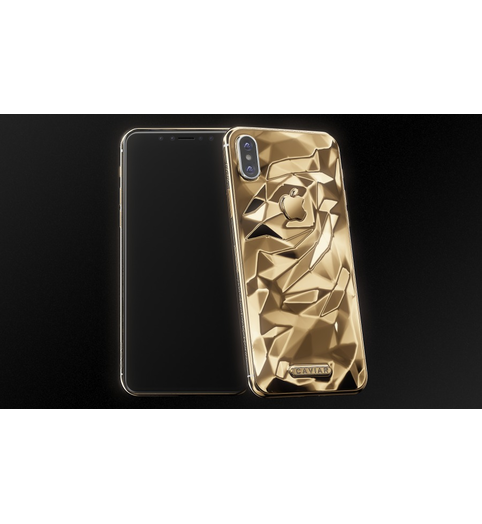 On the very first day of Apple's presentation of iPhone X, the tech fans all over the world were confused to see no golden colour of the case anymore and had to choose only from black and white versions. 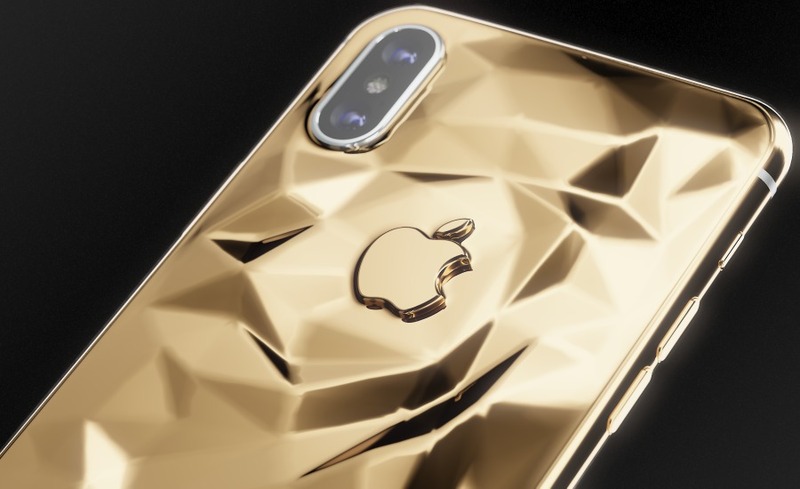 Actually, iPhone with gold-plated cases were the most popular and beautiful models. 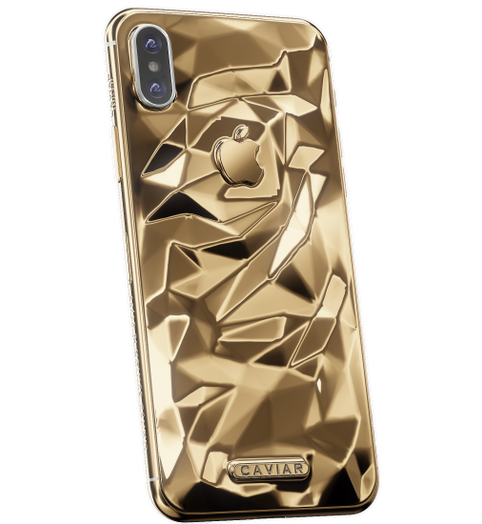 Caviar decided to improve iPhone X and return its unfairly lost golden colour. 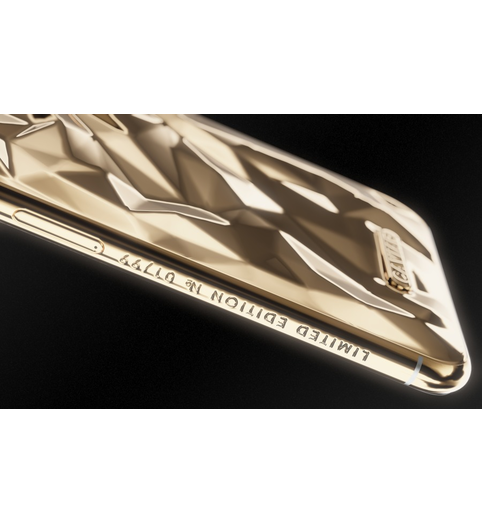 Moreover, now the smartphone case is not simply painted with golden paint, but coated with a pure 24K gold. 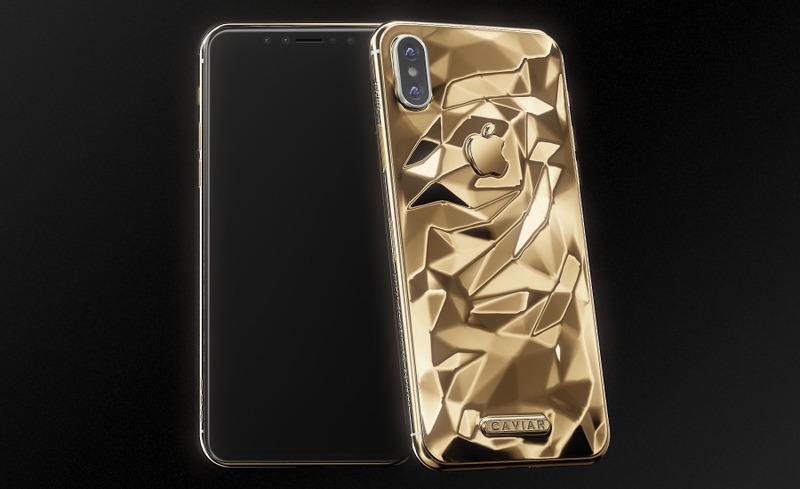 Caviar's designers and jewellers have created version of the golden iPhone X. 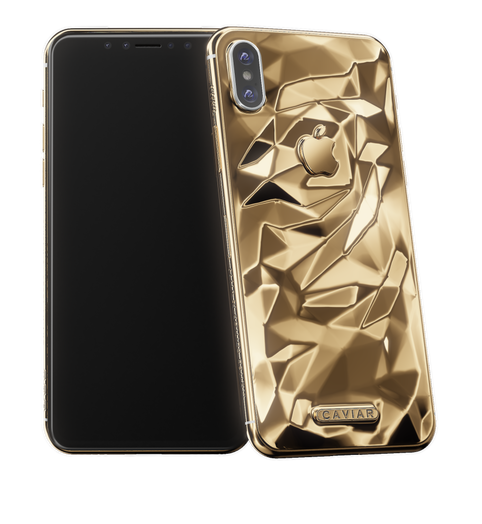 «Caviar Liquid Gold» version is a device encapsulated in the gold-plated relief case decorated with a legendary apple symbol - for the first time in Caviar's history. 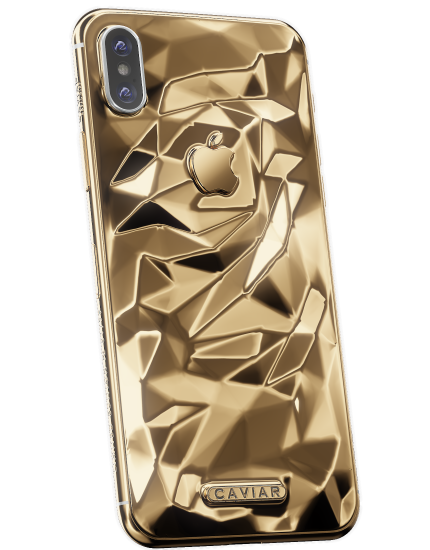 And it features absolutely new, original case which unusual shape which creates a sensation of "liquid" metal, as if it was transforming in the hands of its owner. 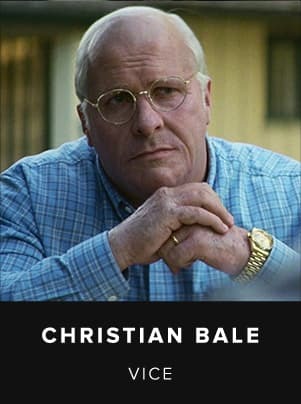 "Liquid metall" pattern. 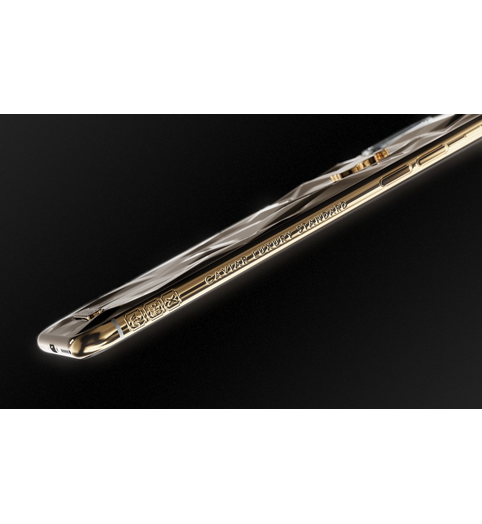 Double gold coating by Double Electroplated technology (24-carat, 7 microns).